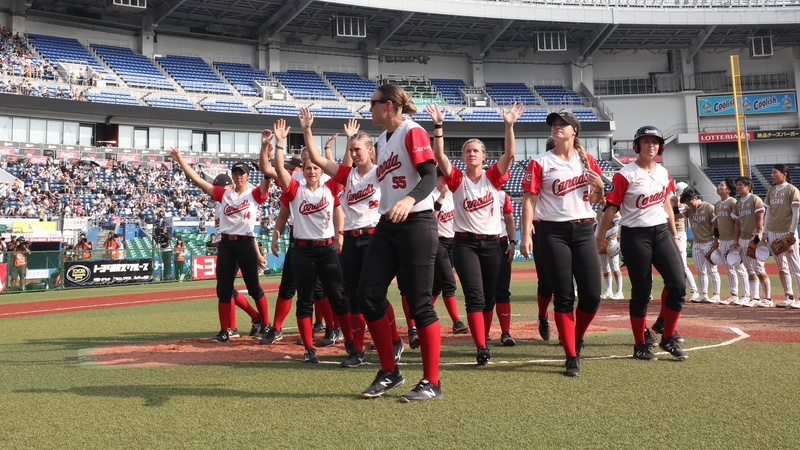 Japan beat Canada, 3-0, and earned the right to play for the title of Softball World Champion in the final against the USA. Canada finished in third place. 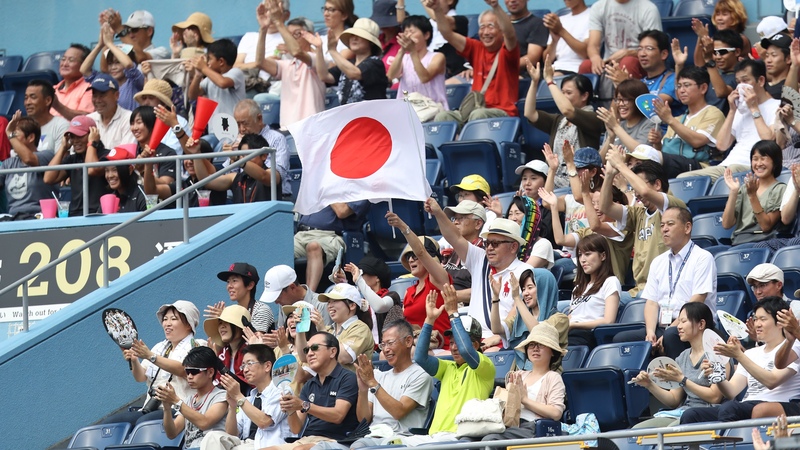 The USA celebrate together with Japan this win. 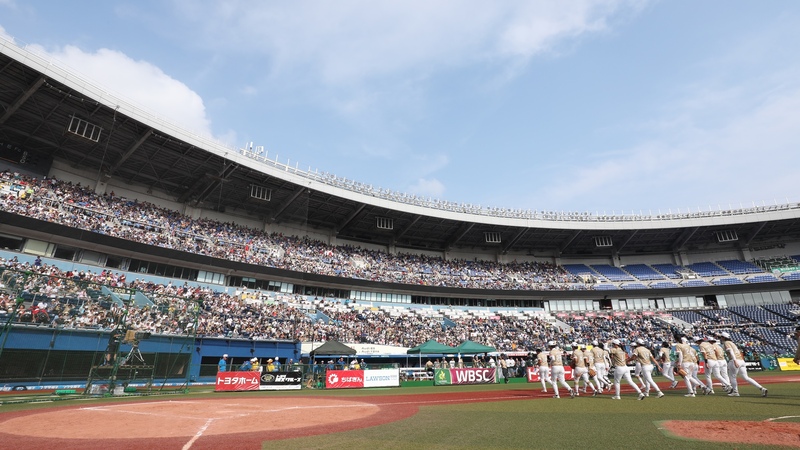 They became the first National Team to qualify for the 2020 Tokyo Olympics. 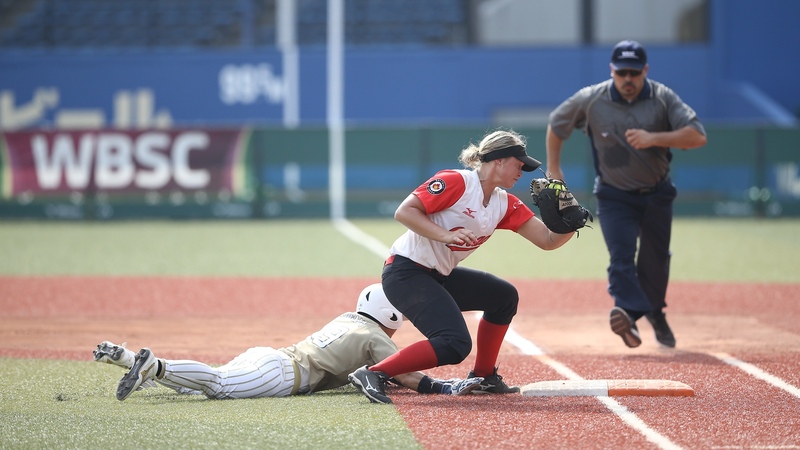 The hosts played an impressive defensive game and their hustle on the bases forced three errors by Canada. Yukiko Ueno picked up the win without allowing Canada a real chance to score. The superstar didn’t try to overpower a dangerous line up and relied on a lott of off speed stuff, even if her fastball topped 71 miles per hour. 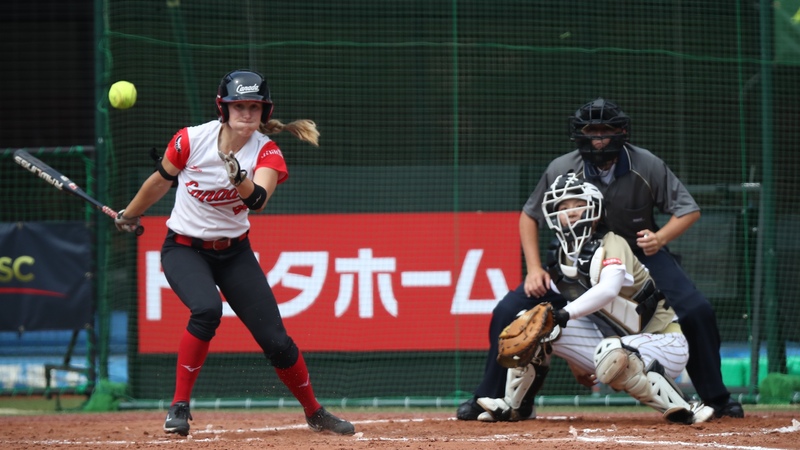 Canada’s first and second hitter showed bunt on the very first pitch of Ueno. With one out, Joanne Lye (the second hitter) dropped a base hit bunt and Erika Polidori followed with a sharp single up the middle. Ueno striked out Holly Speers for the second out and got Jennifer Salling on a comebacker to the mound. 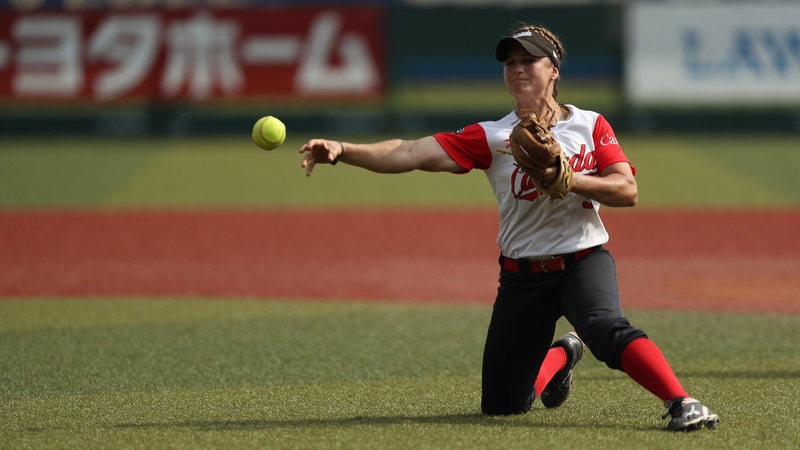 Yamada looked at a strike and then hammered the second pitch by Canada starter Danielle Lawry. Lye at second turned the hard contact into an out with a brilliant diving catch. 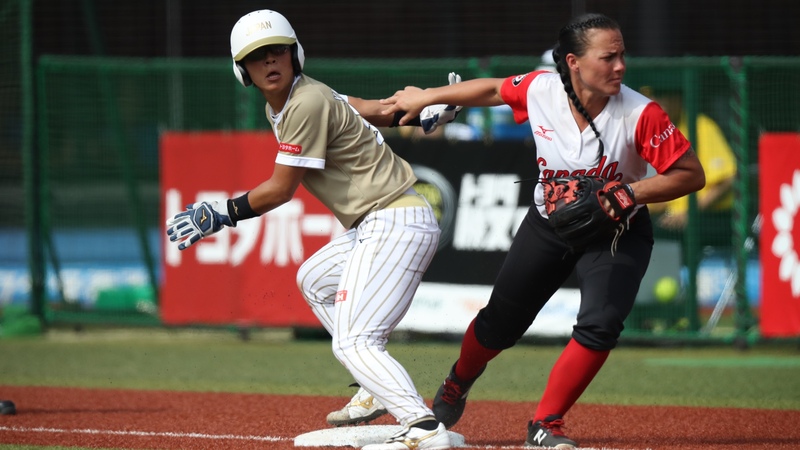 Japan reached anyway on a bloop single to left by Yuka Ichiguchi and scored on a line drive triple to right center by Saki Yamazaki. 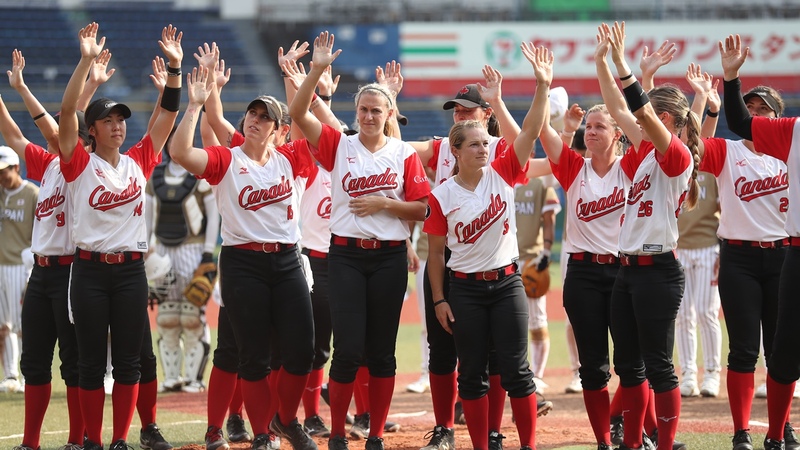 Canada put runners at first ans second in the top of the second on an error and a late throw to second that was looking for a force out. 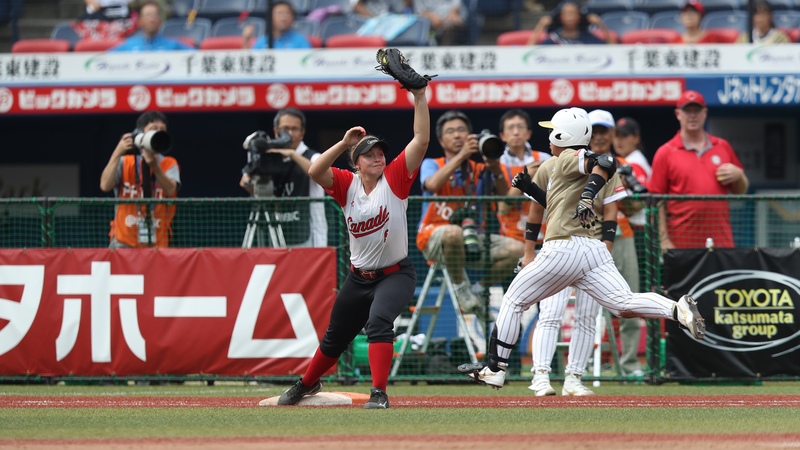 With two outs, Misato Kawano ended the threat robbing Victorya Hayward of a bloop single to right with an amazing diving catch. 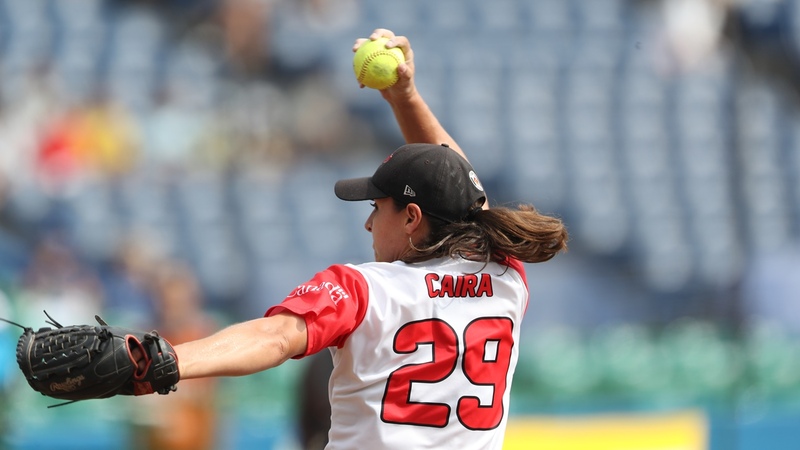 Veteran Eujenna Caira relieved Lawrie in the bottom of the third and Japan got right away to her. With two outs, Saki Yamazaki hit a sharp liner to shalloww center field. 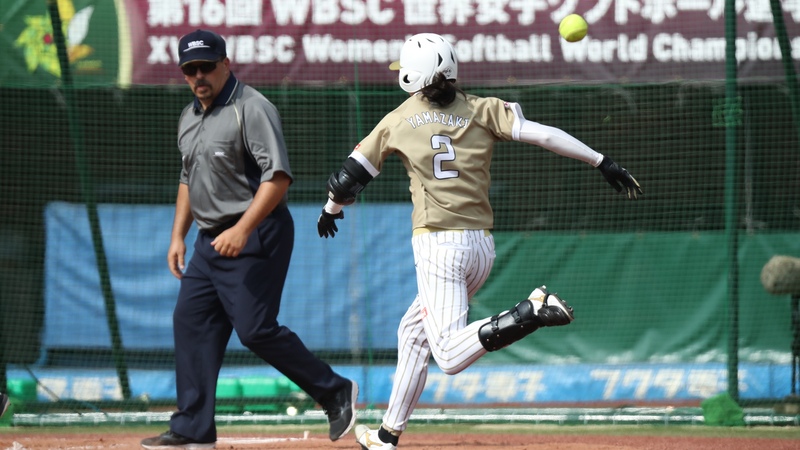 The ball went over a diving catch attempt by Larissa Franklin and Yamazaki ran all the way back to home plate for an inside the park home run. 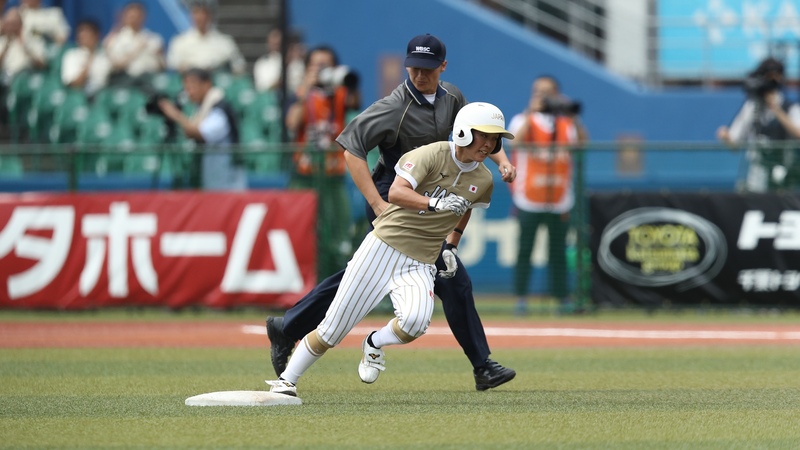 Yamamoto followed with a base hit and reached home from first on a single by Mana Atsuma and a little help from a defensive error. In the second half of the game Yukiko Ueno cruised through Canada line up. 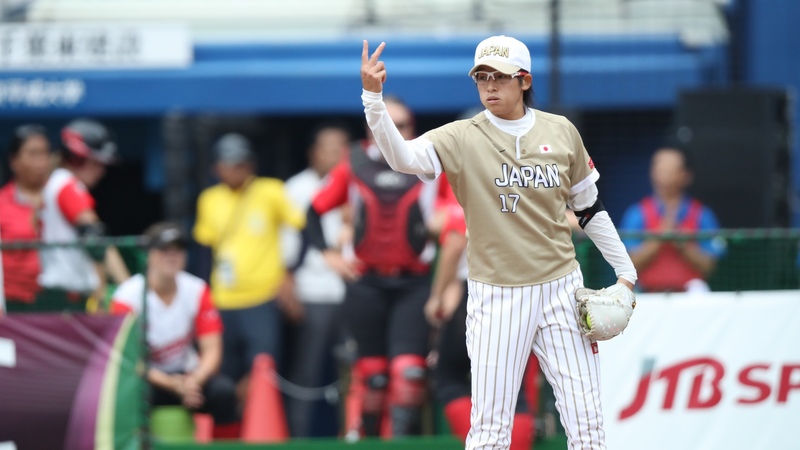 Japan’s ace threw 87 pitches, 63 strikes, didn’t issue a walk and struck out seven.